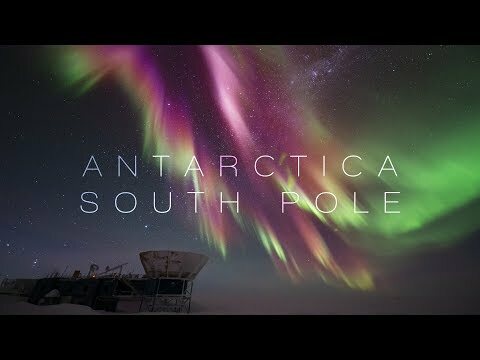 The South Pole is one of the coldest, driest and harshest places on earth. The Aurora Australis can be seen together with the core of the milkyway only here in Antarctica. Temperatures below -70°C/-95°F during the polar night are not uncommon. Together with strong winds and exceptional aridity this is one of the hardest places to shoot timelapse in. Special equipment has been constructed and modified to keep the cameras running. Shot by Robert Schwarz, CMB-Observatory (Cosmic Microwave Backgroud) operator and technician at the Amundsen–Scott South Pole Station.